Sitting outside reading your e-book on a glorious sunny day sounds delightful, but many of us have experienced the frustration of the sun reflecting off our screens making them hard to see. When turning up the brightness to maximum and moving under a shady tree still fail, the next solution we seek might come from butterflies. The glasswing butterfly Greta oto is found in Central America with its distinct transparent wings that look like they are made from glass. Typically transparent materials such as glass reflect part of the incident light that hits them, which is why you struggle to read your smartphone screen in bright light environments as that reflected light hits your eyes. The wings of the glasswing butterfly are unique in that they have very low reflection of visible, infrared and ultraviolet light when looking onto them from different angles. This is crucial to the survival of the butterfly whose life is spent trying to avoid being seen by hungry birds, spiders and reptiles. 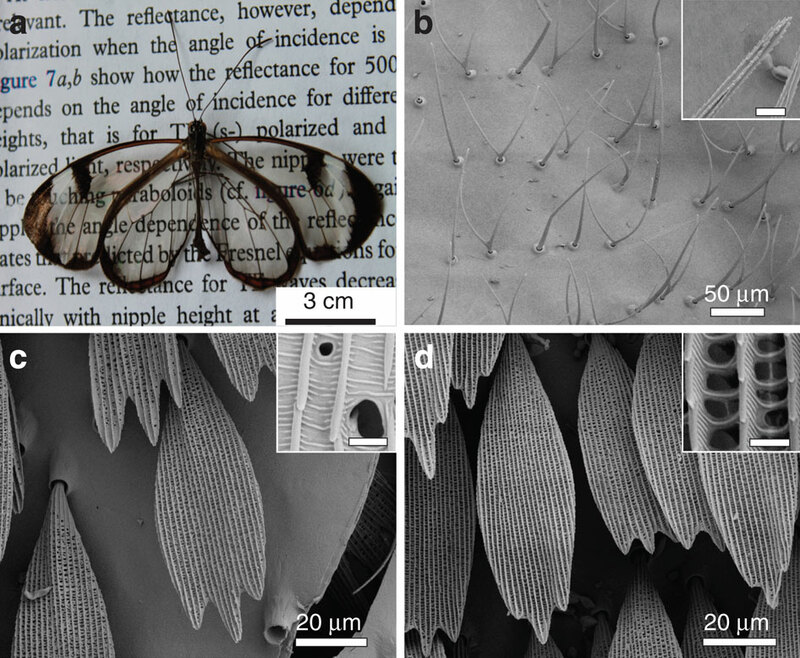 Researchers at KIT studied the wings under a scanning electron microscope and found they were covered in nanopillars ranging from 400-600 nanometers (about 200x thinner than your hair), with between 100-140 nanometers space between each one. The secret to the antireflection wing was not in the nanopillars themselves, but in their highly irregular arrangement. In computer simulations, the researchers mathematically modeled the irregularity of the nanopillars in height and arrangement. They found that the calculated reflected amount of light exactly corresponded to the low observed amount at variable view angles. 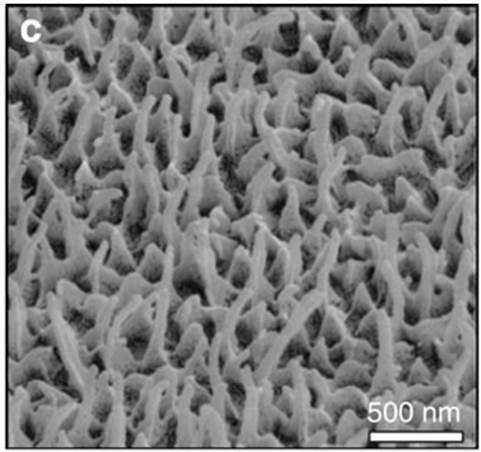 Basically chaotic nanopillars reflect less light than ordered ones. This is very unusual in nature, where regularity and symmetry in structures are the norm, but it does lead to the potential of chaotic nanostructures being applied to screens to reduce the reflection from their surface. With nanostructures on screens already creating hydrophobic and self cleaning surfaces, the next logical step is to add anti-reflection to the nanopowers hiding on your next smart screen giving a whole new perspective to the butterfly effect.